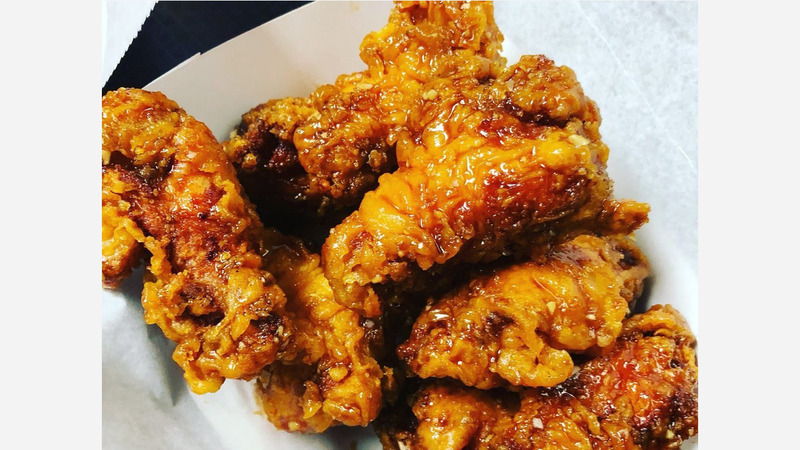 A new spot to score chicken wings and more has opened up shop in the neighborhood. Located at 938 Race St. in Chinatown, the new arrival is called bb-q chicken. This newcomer--which has another location in New Wales--specializes in Korean-style fried chicken fried once once in olive oil ,instead of the usual peanut oil technique. On the menu, expect to see boneless or drumstick options with a selection of sauces to toss them in like soy garlic, hot and spicy, and honey garlic. Look for sides such as sweet potato fries, French fries and pickled radish. Rounding the menu out is a chicken sandwich combo with fries and a drink. There's just one review on Yelp thus far, which gives it four stars. Michael G., who was the first Yelper to review the new spot on January 31st, said: "I got an 'original' 10-piece finger. It is fried in olive oil, and tasted so good. Nice and light, not too much breading, crunchy, and not overly greasy. Although I think I could go all day with them, I was not able to finish all 10. " Head on over to check it out: Bb-q chicken is open Monday-Thursday from noon-10:30pm, Friday and Saturday from noon-1am, and Sunday from 11:30am-10:30pm.